I like my builds to provide no (or very little) output except about things that have gone wrong. That way, it’s easy to see at a glance what’s happening. Too much output is just visual noise. 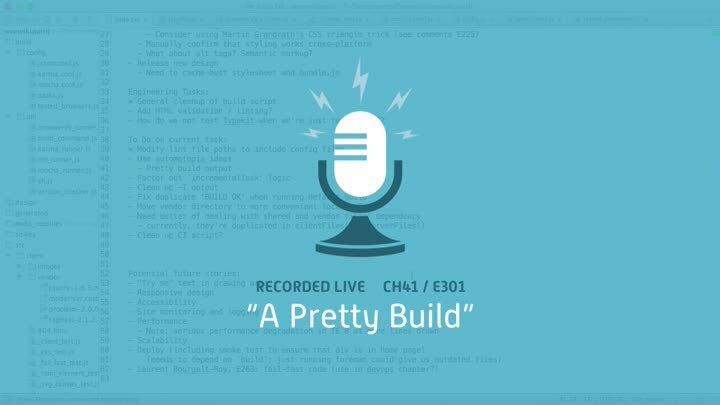 In this episode, we work through our build tasks to clean up their output and make it nice and minimal.